The Unitarian Universalist Association (UUA), our leadership organization, announced last week on March 24 that it was renewing ties with the Boy Scouts of America (BSA). The two organizations signed a Memorandum of Understanding (MOU) that restores the relationship after, as the related UU World article put it, "a years-long split over gay scouts and God". The split was 17 years, to be precise, and the reconcilliation was prompted by the changes in BSA policy last summer that removed the ban on gay scouts and adults. What was conspicuously absent from the press release, the MOU, and the announcement on the UUA website was any mention of the God issue. 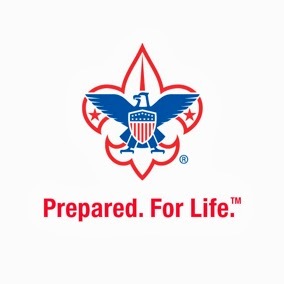 In order to register as a scout or adult leader, one must sign a document that includes a section starting with, "The Boy Scouts of America maintains that no member can grow into the best kind of citizen without recognizing an obligation to God", and concluding with, "Only persons willing to subscribe to these precepts of the Declaration of Religious Principle and to the Bylaws and codes of the Boy Scouts of America shall be entitled to certificates of membership." There is a similar requirement for all levels of advancement, including achieving Eagle Scout rank. As soon as the announcement about the MOU was made, the UU Humanist Association sent a message to UUA President Peter Morales, following up on a similar one sent last summer when he had hinted at the reconciliation, reminding him how strongly we feel about the need for the UUA to stand up for our UU principles in this matter. We continue to call for the UUA to make an unequivocal, clear, public statement that they disagree with the BSA policy and that they will work to change it. The widespread prejudice the BSA policy leads to is illustrated in a USA Today article by a BSA district executive, Chris Hill, "Even the full acceptance of homosexuality throughout Scouting would not be the bottom of that slippery slope. There is another group that has been howling as loudly as the homosexuals about their exclusion from the Boy Scouts -- the atheists." He goes on to say, "if there is no higher being to provide a standard against, which one's beliefs and conduct are measured, how can the atheists know with any certainty what is 'moral' at all?" UUs, both theists and nontheists, have a clear answer to that: humanistic principles that are shared by good people of many religions and no religion. UU Humanist Association (UUHA) President John Hooper published Morales' response to our message in the article Hooper wrote for the American Humanist Association's The Humanist magazine. This included the encouraging statement from Morales, "Let me say, as a humanist, I had my own trepidation about a new agreement with the Boy Scouts. However, through many conversations, I was assured that a UU congregation who hosts a scouting unit would be able to teach our values according to our UU theology—including nontheist teachings." While this may be true, the UU Humanists continue to object because a) this does not push back on the religious discrimination, b) this does not help the non-UU scouts and adults who do not believe in God, and c) this does not adequately address the needs of nontheist UUs who cannot, with integrity, express an "obligation to God", and d) because all decision making, including approving membership and boards of review for advancement, involve people from the council and district level, not just the unit level. On this latter point, the national organization has shown its intent1 and willingness to reject nontheists. "I wonder how many of those who are opposed to this very positive policy change have boys of scouting age? I support it 100%. ... Im a UU Humanist / Atheist and I am actively trying to get a local Humanist group going in my congregation. I have three Cub scouts and they LOVE their participation in Scouts. There's nothing else out there like it.3 ... I also get a lot out of it myself, and so does my wife. We have so many friends made through Scouting - I can't imagine not being involved. We have at least 10 more years in front of us. We joined prior to the membership policy excluding gay members & scouts change, and we pledged to work from within for change. And we have. Leadership in both Packs that I have been involved with have been 100% opposed to descriminatory National policies. We don't ask about sexual orientation and we don't ask about Theistic beliefs. It is completely irrelevant and not what the program is about. There SHOULD be a formal UUA / BSA relationship. Hooray!!!" We, the UU Humanist Association, also note that it is unofficial UUA policy to expect atheist and humanist UUs, like all UUs, to adopt or at least accept the use of an extremely liberalized religious language. Thus, we may be asked to engage in prayer starting with, "Spirit of Life and love, great mystery, God of many names we pray...". We are told, for example in the book God Revised, by UU minister Galen Guengerich, "Gone are the days of the magical, supernatural deity in the sky who visits wrath upon those who have not followed his word. Especially in a scientific age, we need an experience of a God we can believe in-an experience that grounds our morality, unites us in community, and engages us with a world that still holds more mystery than answers." Given this potentially non-supernatural view of God, it makes sense that a religious humanist, like Peter Morales, would have no issue with agreeing to a statement saying, "no member can grow into the best kind of citizen without recognizing an obligation to God". While we recognize this as the expectation and the norm in communication from the Association, we continue to remind the UUA of the existence and the rights of the individual UUs and entire congregations whose beliefs do not admit even such "evolved" use of the word God. We know the arguments for being Fluent in Faith, recognize and respect that even many UU Humanists find value in defining God in a non-supernatural way, but we stand by the right of many of us to choose not to do so. The UUA website tells the world about UUs, "Some believe in a God; some don’t believe in a God. Some believe in a sacred force at work in the world, and call it 'love,' 'mystery,' 'source of all' or 'spirit of life.'" All of those people are told, "We welcome you in the fullness of your beliefs." An action like announcing the UUA/BSA MOU without even a mention of this well-known issue calls into doubt the sincerity of that welcome. We do not seek to break the agreement, nor for the UUA to stop using religious language, but we must have a leadership that stands up against prejudice against us and that does not expect us to pretend that we are something we are not in order to be welcomed. We have asked for an official meeting with our UUA leadership where we will seek their help in resolving this issue. We are confident that the outcome of that meeting will remove the need to seek justice some other way, and we promise to keep everyone informed until it is resolved. We are not angry outsiders, we are the nontheist clergy and members who lovingly value our UUA and its seven principles. Please note the "always" in this statement. The large outcry from popular bloggers, like PZ Myers and our Ethical Culturist friend (and usual ally) James Croft, make the the second part of UU Humanist Association's mission nearly impossible to accomplish. We wish to be a bridge between the UU and secular worlds, but the justified indignation seriously undermines our message. "Girl Scouts of the USA makes no attempt to define or interpret the word “God” in the Girl Scout Promise. It looks to individual members to establish for themselves the nature of their spiritual beliefs. When making the Girl Scout Promise, individuals may substitute wording appropriate to their own spiritual beliefs for the word “God.”"